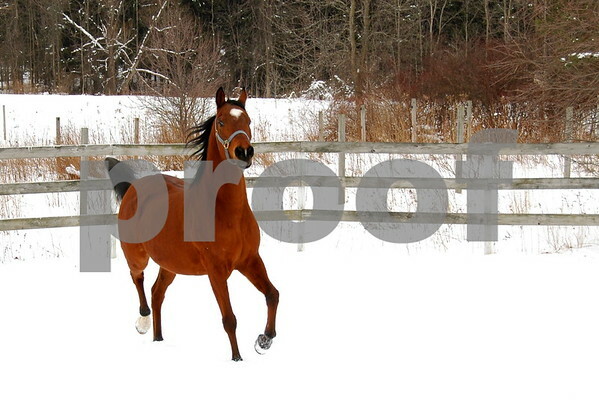 This is Klyde, a half Arabian gelding, who enjoyed his romp in the January snow. My daughter trains and shows Klyde for her Aunt. This entry was posted in Animals, Weekly View and tagged arabian, horse, Photography, snow. Bookmark the permalink. What a beautiful picture of a beautiful horse. Thank you, Birgitte. He was full of energy that day with the new snow on the ground and seemed to be showing off for the camera. Great horse, impending action photo.